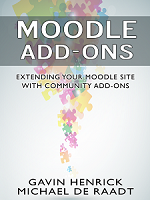 As part of my testing of the upcoming Moodle 2.4 I got to try out the new Blind Marking feature. This post gives a quick overview of how it works. So what is blind marking? In short, normally when you use blind marking in assessment the teacher/grader cannot see who the assignment is from while they are grading. They may or may not see after the grading happens. Blind marking hides the identity of students to markers. 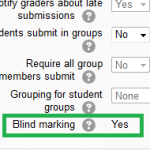 Blind marking settings will be locked once a submission or grade has been made in relation to this assignment. So what happens when you set this on? 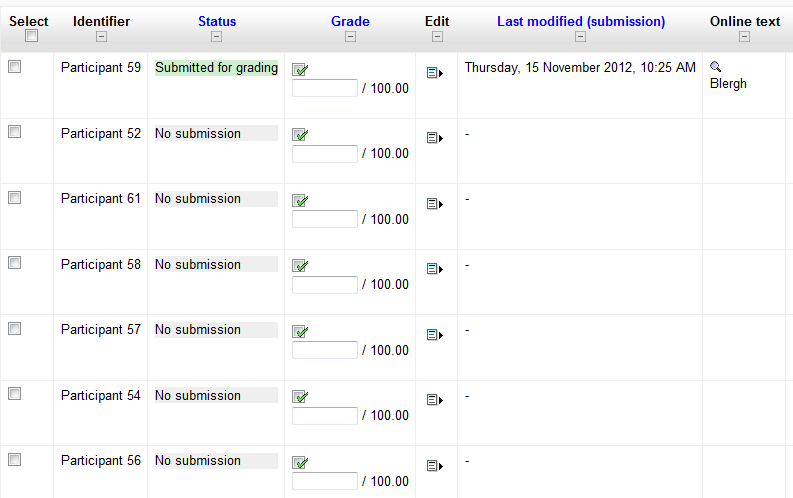 For the student, they do not see anything different in the submission status window. So it may be important to explain the use of Blind Marking in the Description field as you would other assignment aspects. Once the students have submitted what can the teacher see in the assignment? 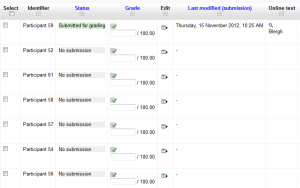 The new assignment also provides an option to download the list of submissions so that you can edit the grades in a spreadsheet and then upload it. This option also maintains the blind marking with no names shown and instead just a Participant number “Participant 52” for example. When grading is complete there is an option to “Reveal student identities”. Once this is done the grades are then sent to the gradebook. An interesting new feature, and as this is one of a few new options in the assignment – I will blog about the others in coming week or so. I love the idea of a download submission list. I wonder if this will be put in the normal grading of an assignment because I have teachers complaining that they cannot keep up with students submitting work multiple times and which is the newest entity. Even though we do ask the student to put in the submission number into the file name. Will look forward to the others.